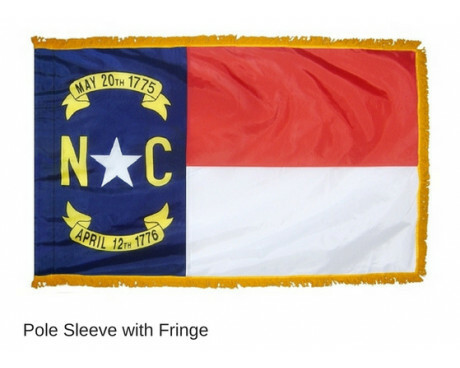 The North Carolina state flag was designed to honor the state's early history as a leading part of the American revolutionary movement. The current design resembles that of several other state flags, the earliest of which dates back to the American Civil War. NC state flags have a vertical bar of blue that runs along the house and two horizontal stripes of red and white that stretch out from the blue portion. The center of the blue bar holds a white star between the letters "N" and "C." A gold ribbon above the star contains the date May 20th, 1775 and a matching ribbon below the star contains the date April 12th, 1776. 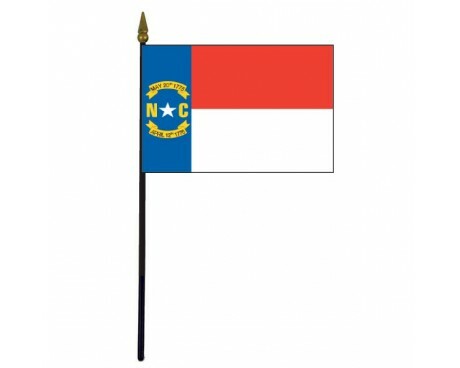 The color scheme used for NC state flags echoes that of the United States, and that similarity serves as a reminder of the fact that North Carolina is part of a larger nation. The two dates refer to important points in the state's early history. The Mecklenburg Declaration of Independence was the first such declaration in North America, and it was signed in North Carolina in 1775. The Hallifax Resolves were signed in 1776, and they helped to encourage the rest of the Thirteen Colonies to declare independence from the British Empire. 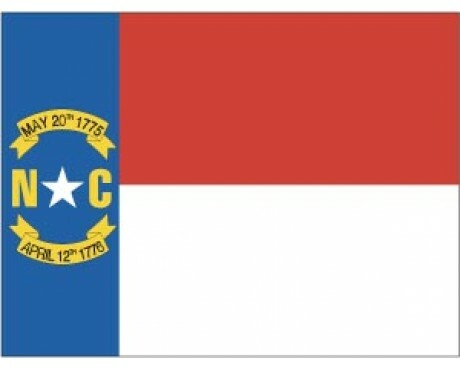 The first North Carolina state flag dates back to the earliest part of the Civil War. 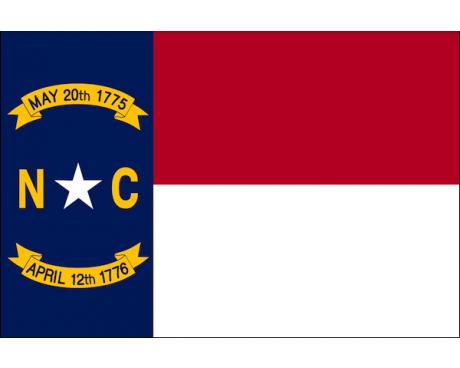 The government of North Carolina organized a committee to develop a state flag on the same day that it succeeded from the Union, and that effort led to a flag that was formally adopted on June 22, 1861. It had two stripes of blue and white rather than the red and white of the current flag, and the vertical bar was red instead of blue. The flag did not include the state's abbreviated name, and it replaced the date of the Hallifax Resolves with the date that the state left the Union. The flag fell out of use after the end of the Civil War. It was replaced with a clear precursor to the modern design in 1885. That design was used for more than a century until it underwent a slight revision in 1991 that removed the commas from the dates and adjusted the flag's size. In 1585, the first English settlement of North Carolina was on Roanoke Island, but was quickly wiped out. In 1653 another settlement occurred until independence was declared in 1776. 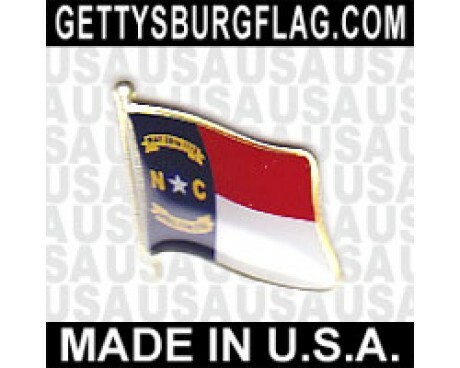 The state didn't produce a flag until secession from the Union on May 29, 1861. A wide vertical stripe of red, and an upper horizontal bar of blue was the first flag design, and a white star was on the red vertical with the dates of May 20, 1775 and May 20, 1861. The second date is the date of secession, and the first is supposedly that of the original declaration of independence. In March 1885 the flag was revised when the red and blue were transposed and the vertical stripe was made narrower. 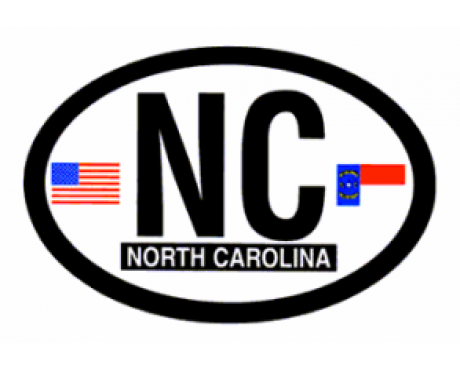 The date of 1861 was replaced by that on which state representative were authorized to vote for independence, and the white star appeared between the letters NC. In North Carolina, the first English permanent settlement occurred in 1653. 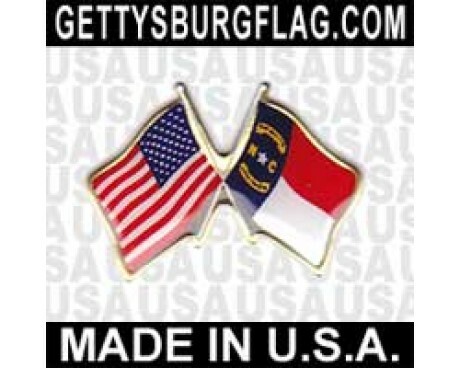 The colony of North Carolina was created in 1712, and declared its independence in 1776. On November 21, 1789 the state ratified the Constitution then seceded on May 20, 1861. It was re-admitted to the Union in 1868.